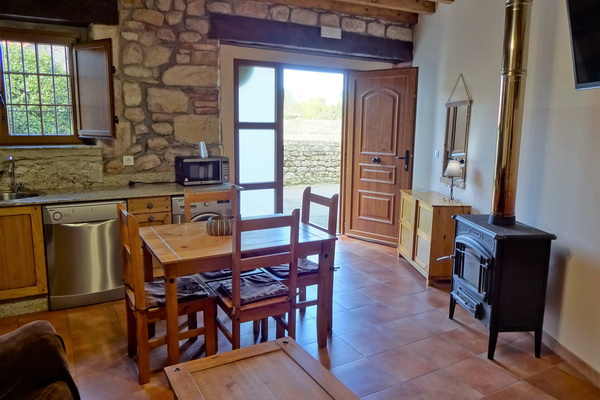 Casa Ibio 2 is a newly converted stable and barn providing self-catering accommodation for up to four people. 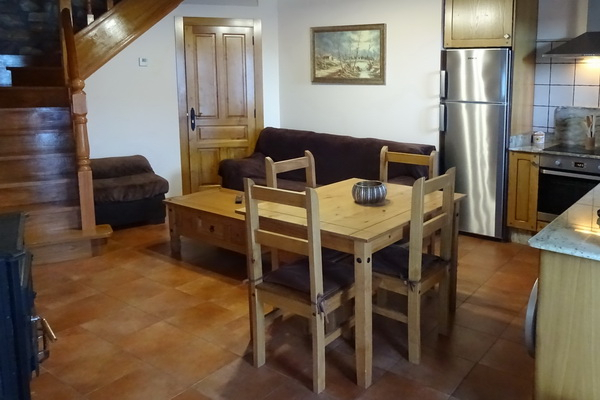 With an open plan lounge, dining and kitchen on the ground floor, two bedrooms and a bathroom on the first floor and a garden with barbecue right in front of the house, it offers all you need for a comfortable stay and a perfect base for exploring Cantabria. Open beam ceilings, a cosy wood burner and a lovely blend of stone and wood contribute to create a pleasant ambience, which is amplified by the tranquility and views that the village and the rural surroundings have to offer. 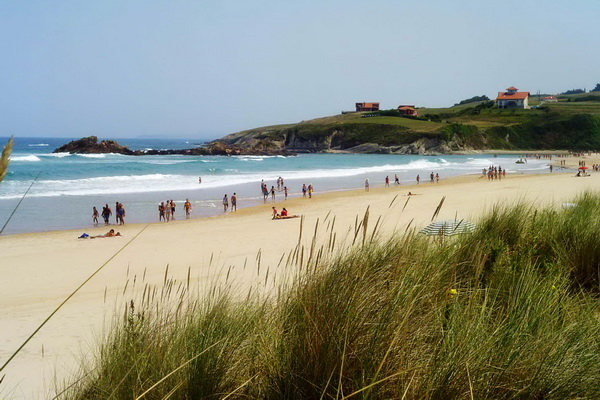 The market-town of Cabezón de la Sal is just nearby, the coastal motorway just beyond that and Comillas and the sea a short drive away, so there are plenty of options to choose from when it comes to holiday activities. Whether you prefer the beach or the mountains, the quiet tranquillity of the villages or the lively pace of the city, it surely won’t be far away. And with a trendy and very popular gastrobar just around the corner you can always end the day with some great food and a glass of wine. The front door opens into an open plan living area with a well equipped kitchen, a dining table with 4 chairs, a sofa, a wood burner and a wooden staircase at the far end of the room. 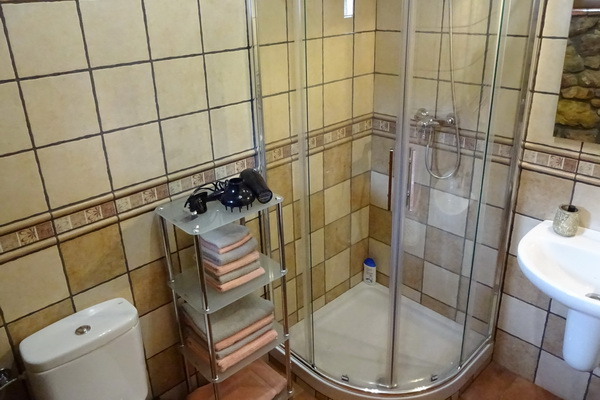 Upstairs there are two bedrooms of which one has a double bed and the other has a single bed that can be turned into a double if necessary. A bathroom is also located on this floor. 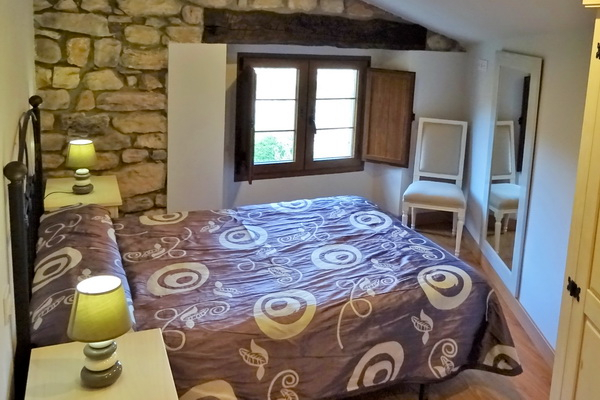 Wooden windows in all rooms with views of the village and surrounding countryside. Outside, right in front of the main door and with a separate entrance, there is a fully enclosed garden with table, chairs and barbecue. Lots of parking options around the house. 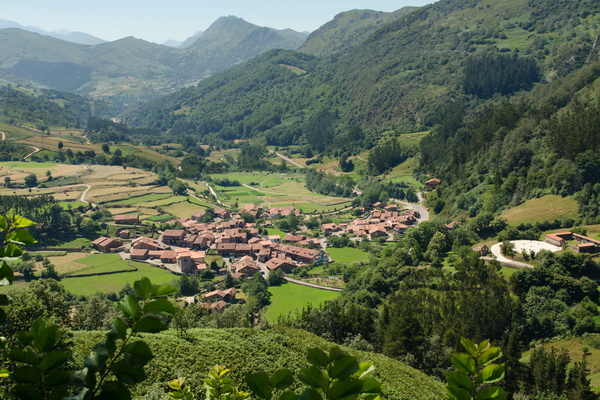 Herrera de Ibio is a pretty farming village, a network of little lanes with some grand old manor houses in between the farmhouses, set among fields and near hills. It nestles around its church, and amenities include a gastrobar, a children's playground and an outdoor basketball court. 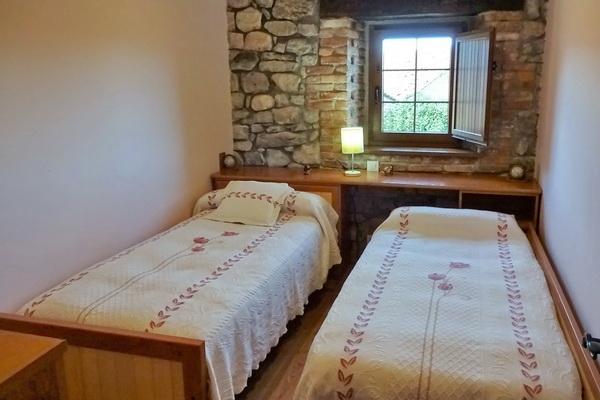 The coast is less than half an hour away, so this is a good location for those wishing to combine beach days with rural living; it is also well located for exploring Cantabria to the East and West, and for driving up in to the Picos de Europa. 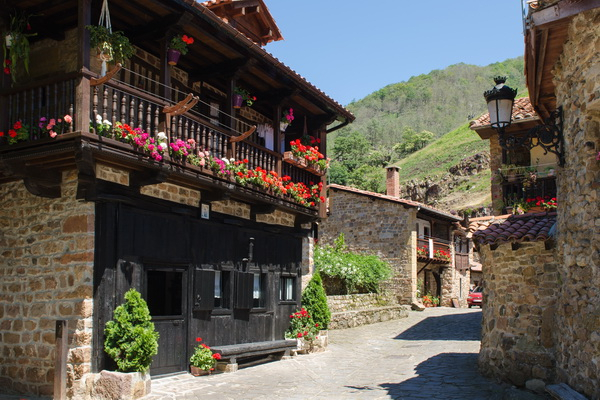 The Cabuérniga Valley heading inland from the village, is dotted with delightful stone-built villages and has a suprising variety of restaurants. 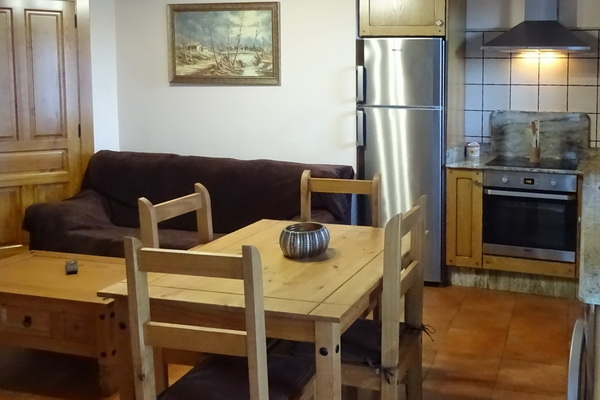 Ruente has four alone, and further into the valley we recommend La Central in Barcenillas where they specialise in wood-oven roasts, Casa Lucas in Correpoco or El Puente in the pretty village of Carmona. 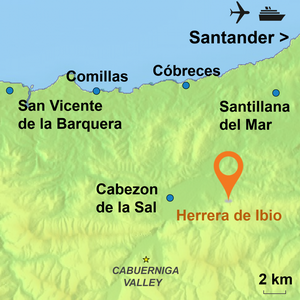 Cabezón de la Sal is the nearest town for shopping and all amenities. It holds a farmers' market every Saturday in the morning until lunchtime. 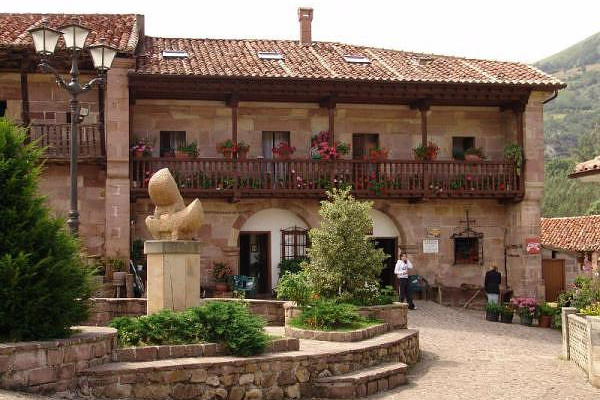 On the second Sunday of August, Cabezón de la Sal hosts the Día de Cantabria - the biggest local festival, with a display of local music, dancing and costumes as well as a parade and a large market throughout the day. 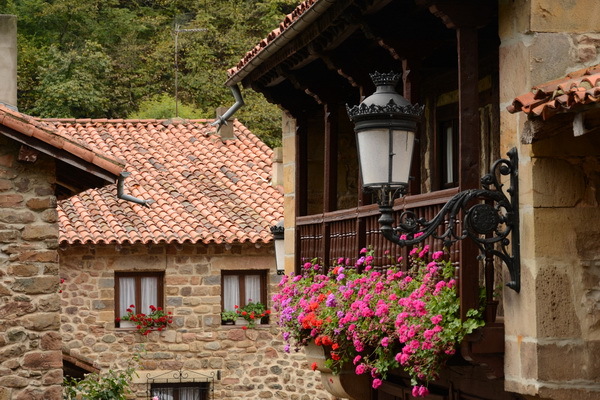 It is an excellent way to experience Cantabrian culture. 18 hole golf course at Santa Marina, La Revilla -18km. near San Vicente de La Barquera. Also golf course on Oyambre beach. Tennis courts and indoor swimming pool at Cabezón de la Sal 7 km. 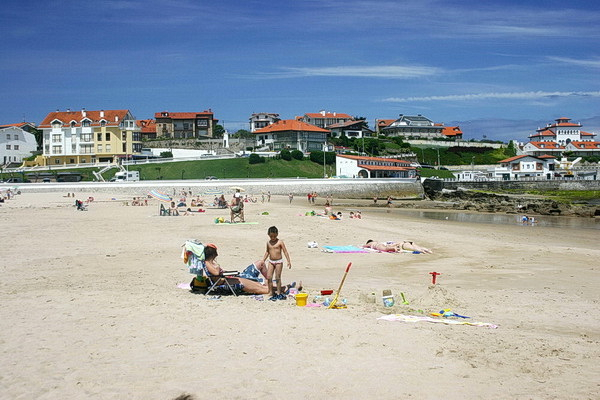 Fantastic beaches of Comillas and Oyambre, 20 minute drive. 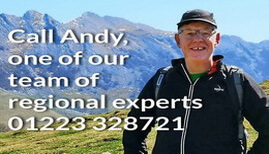 Picos de Europa - an hour's drive. 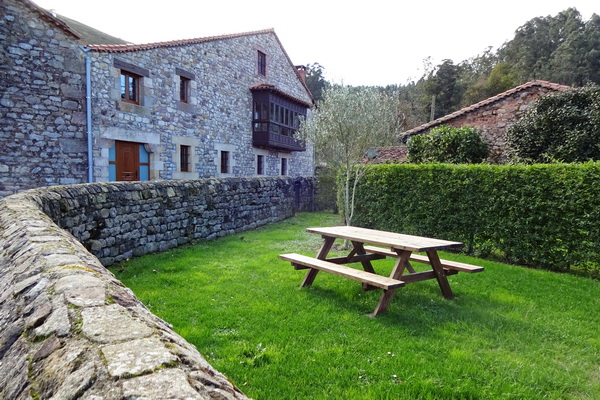 Comillas, Santillana del Mar and the replica of the Altamira caves, San Vicente de la Barquera all within an easy drive. The lovely town of Cabezón de la Sal at 7km with a great Saturday morning market. Visit the fantastic caves at El Soplao. Valle de Cabuerniga, a nature reserve with some wonderful domestic architecture within very easy reach.